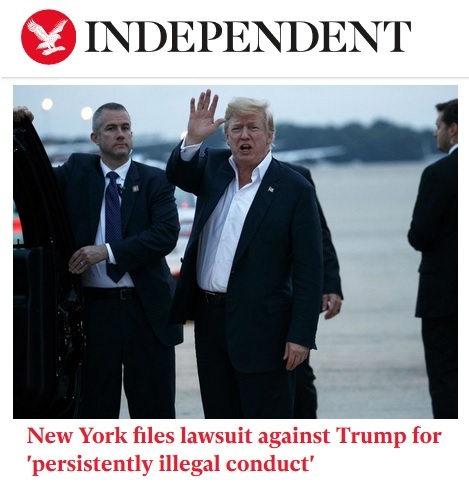 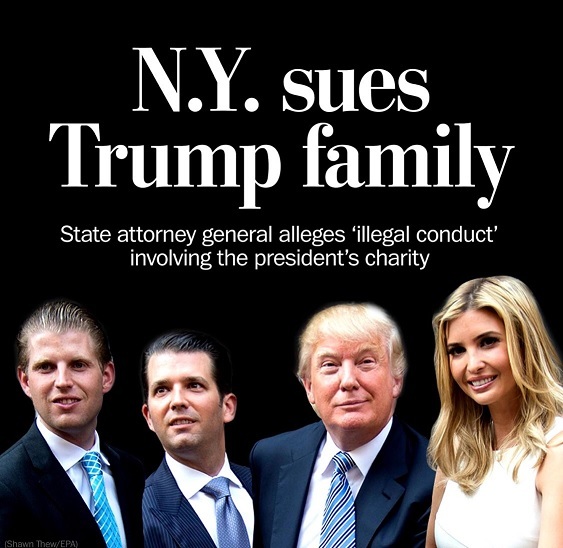 (Reuters) - The New York state attorney general sued Donald Trump, three of his children and his foundation on Thursday, saying Trump illegally used the nonprofit as a personal “checkbook” for his own benefit, including his 2016 presidential campaign. 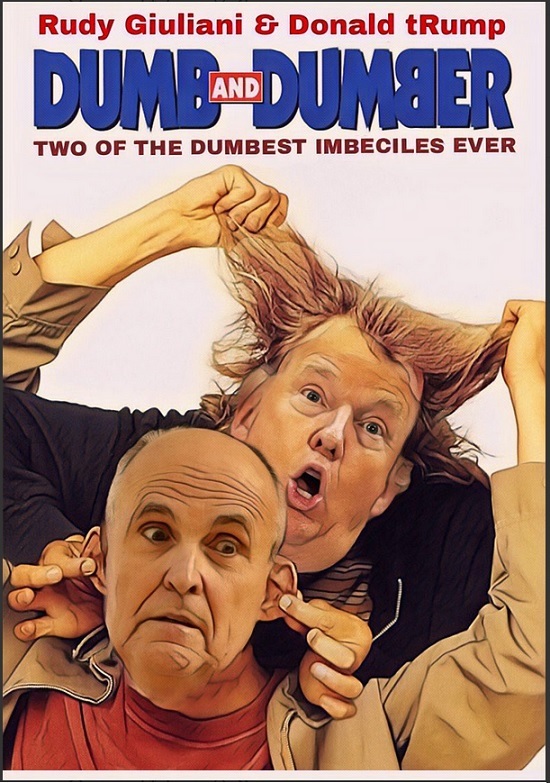 Barbara Underwood, the attorney general, asked a state judge to dissolve the Donald J. Trump Foundation and to ban Trump, his sons Donald Jr. and Eric, and his daughter Ivanka from holding leadership roles in New York charities. 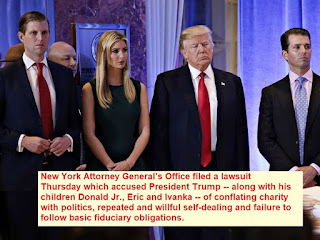 The three children joined the foundation’s board in 2006, although Ivanka stepped down to work at the White House in 2017. Underwood said her office’s 21-month investigation uncovered “extensive unlawful political coordination” by the foundation with Trump’s campaign, as well as “repeated and willful self-dealing” to benefit Trump’s personal, business and political interests. 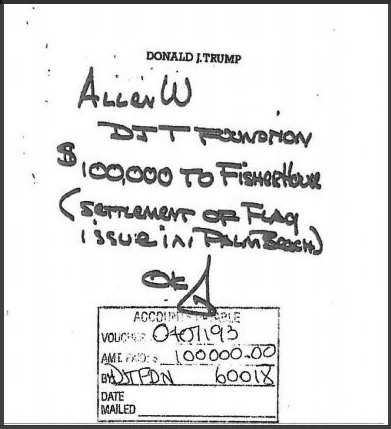 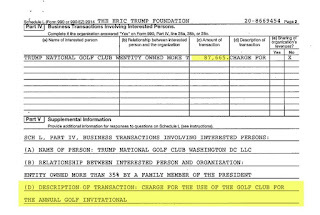 Among the transactions the lawsuit cited as illegal was a $10,000 payment to the Unicorn Children’s Foundation for a portrait of Trump purchased at a fundraising auction in 2014. 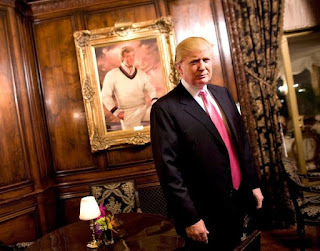 The portrait would end up decorating a wall at Trump’s Doral golf resort near Miami, the Washington Post reported. 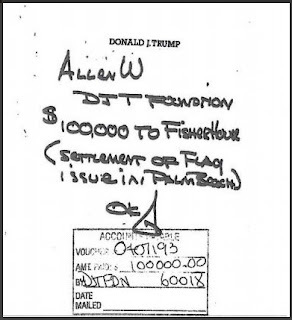 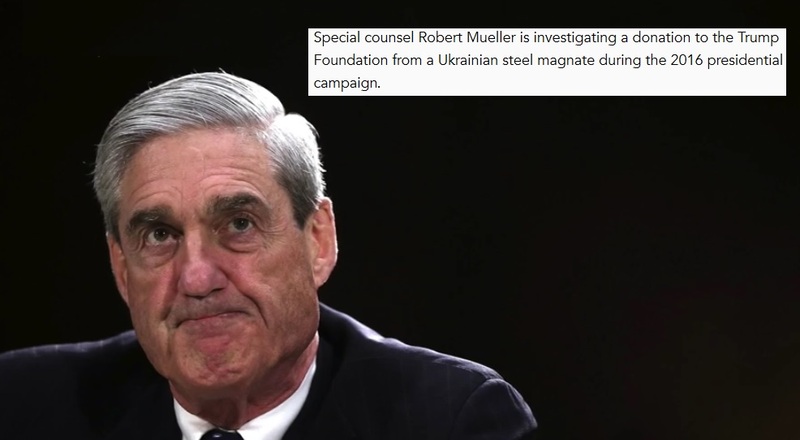 "Mr. Trump ran the Foundation according to his whim, rather than the law." 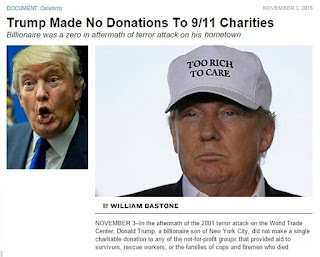 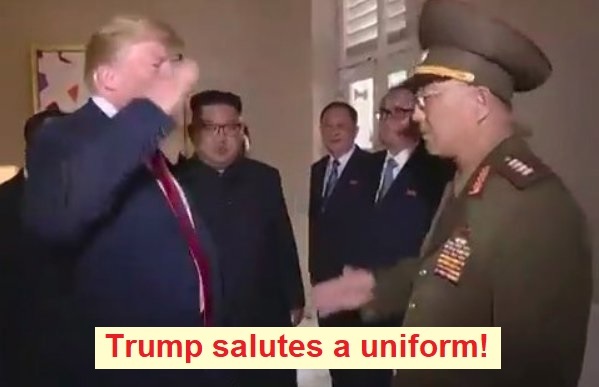 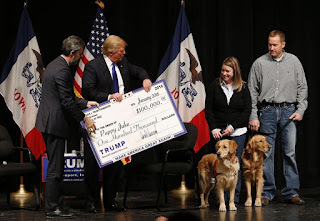 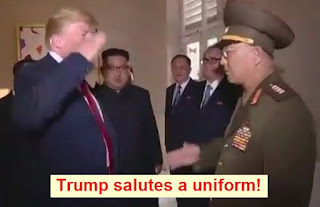 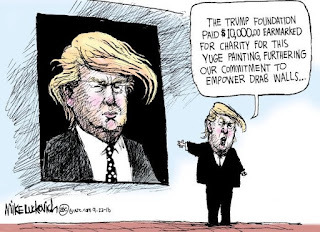 During the 2016 presidential race, Trump frequently derided a charity run by the family of Hillary Clinton, saying [without proof] that the former secretary of state gave favorable treatment to the Clinton Foundation’s wealthy donors. Both Clinton and the Clinton Foundation, best known for helping to lower the cost of HIV drugs in the developing world, dismissed those attacks. 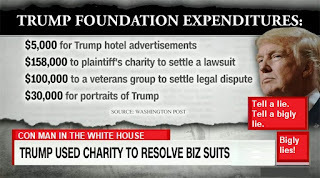 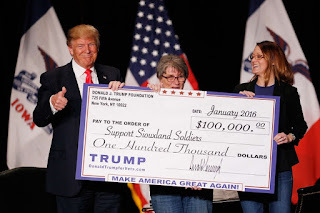 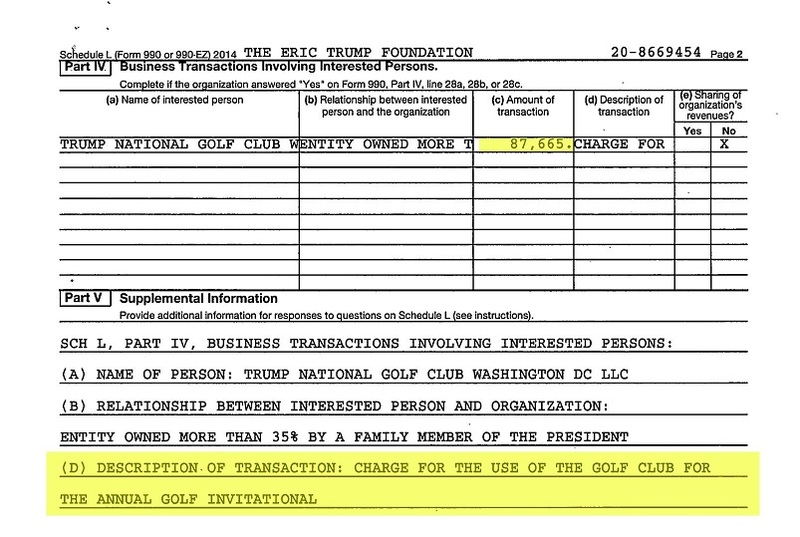 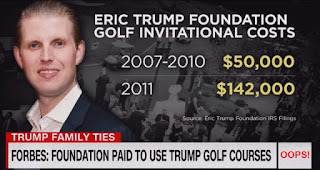 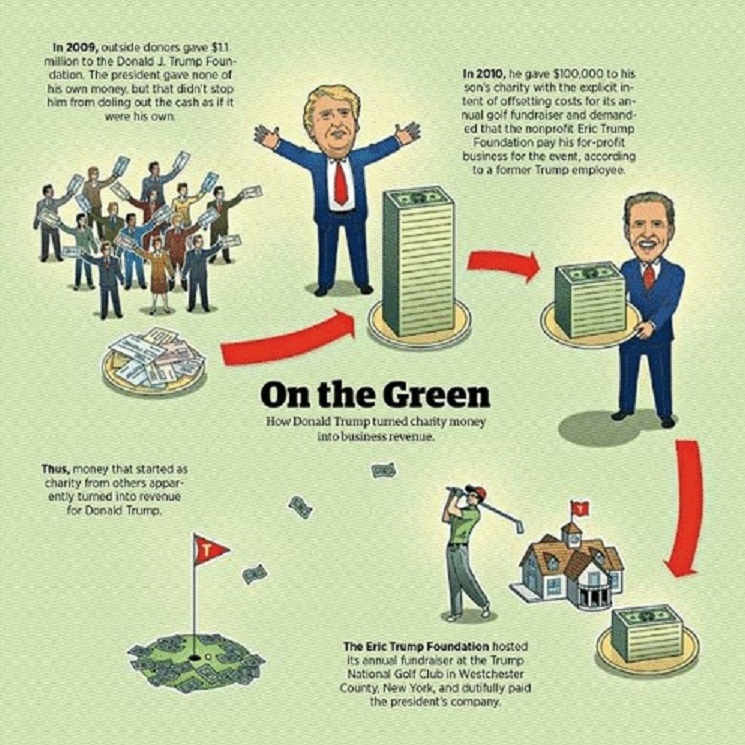 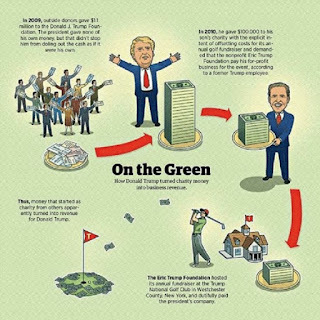 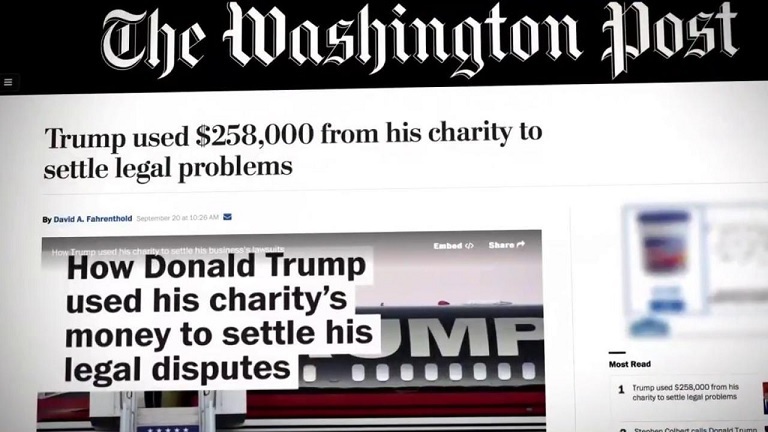 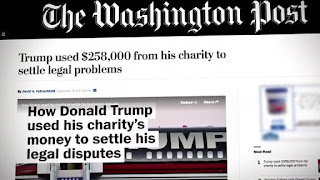 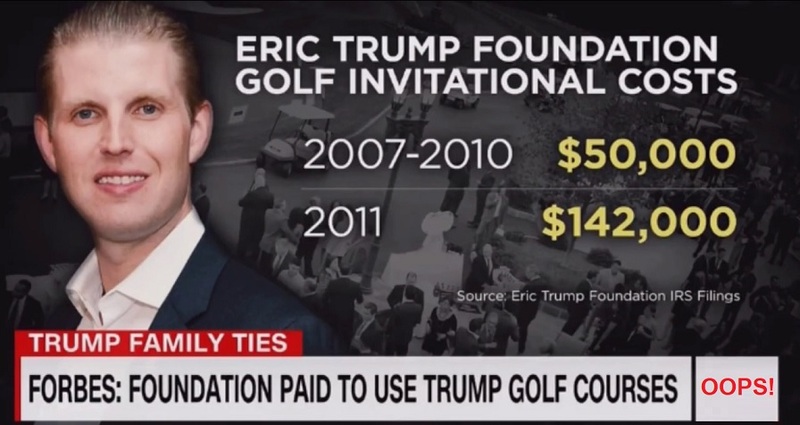 Some $2.8 million went to the foundation, the lawsuit said, and the foundation wrongly ceded control of those funds to Trump’s campaign staff, who wrongly disbursed grants at campaign rallies for Trump’s political benefit. 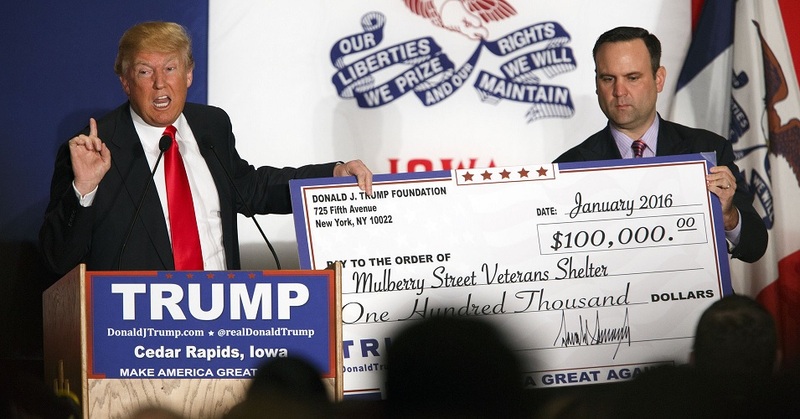 Tax-exempt nonprofit groups are legally required to avoid partisan politics. 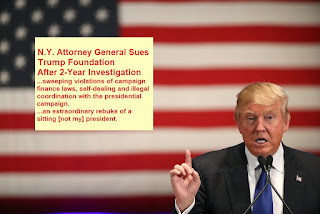 The attorney general said she also sent letters about possible breaches of federal law to the Federal Election Commission (FEC) and Internal Revenue Service. 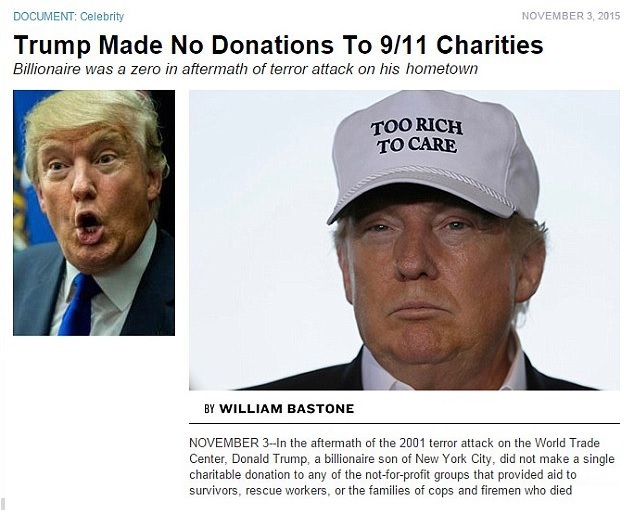 Both agencies declined to comment.